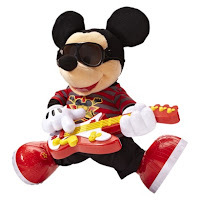 Let's Rock Elmo OR Rock Star Mickey? There is a bit of a debate in my home as to which Rocking toy to consider getting for our son for Christmas. No doubt he needs one or the other. My boy has rock star in his heart. He loves music, dances like crazy and even knows that certain music requires different dance moves! Hes so cute! We can't seem to decide between Let's Rock Elmo OR Rock Star Mickey. Both are cute rocking characters that any kid would love to have. Elmo my son adores and will tell me anytime he sees Elmo anything. He was going Elmo crazy in Toys R Us. Mickey is a classic character that I love and we like to watch Mickey Mouse Club DVDs. I am stuck as to what to buy. Part of me says wait and see what is going to be the best deal. And the other part says test it out. Let him see both in the store and see which one he likes more. But will he be heart broken when I take them both away and leave empty handed! 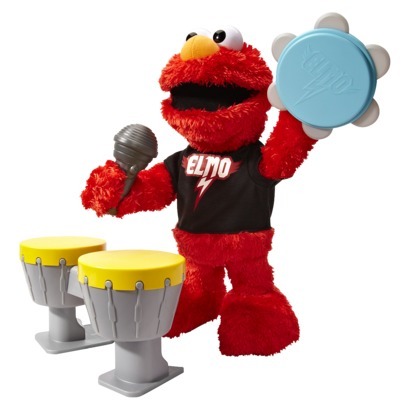 What are your thoughts on the Let's Rock Elmo OR Rock Star Mickey debate?